One to put into your diaries for next month. 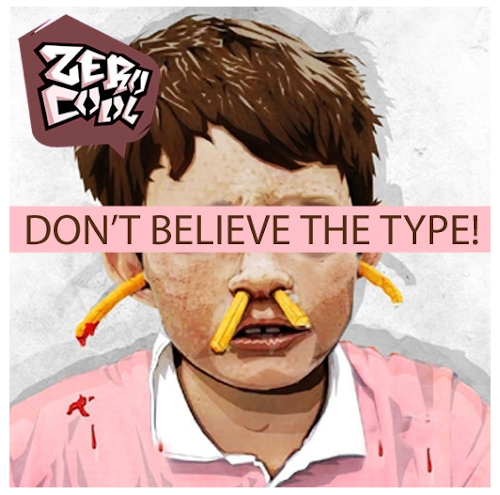 Zero Cool Gallery are returning to London, and are planning to host a group show in early December. "Don't Believe The Type" is a loosely themed show which is set to explore the good, the bad and the ugly side of typography. This from Zerocool:Everyday we get hit by a barrage of written media be it Newspapers, Billboards, Packaging - you buy a cup of coffee on the way to work and you get a 100 word essay wrapped around the paper cup! What are we supposed to take from the millions of mixed messages we receive everyday - telling us stuff / selling us stuff - what are we supposed to believe? On a far more basic level one of the earliest things we learn to do in life is how to write and it's something we use until the day we die and Graffiti Artists know more then most how important and powerful type can be, from something as basic as scrawling a name on a wall to creating a huge piece on the side of a building to get a message out - it's where we all start. More info on the dates and the venue location when we have them.